The National FFA Organization FFA is an intracurricular student organization for those interested in agriculture and leadership. It is one of the three components of agricultural education. 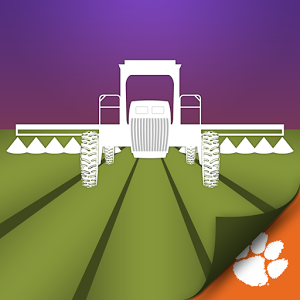 Clemson University developed Mix My Sprayer to aid with quick, accurate calculations of product mixes to be applied with spraying equipment. Users can create custom lists of favorite products by category. Simply add or select a product, insert values in each input box, and the app automatically calculates the amount of product to include in the user-defined mix size. Units for each input can be customized by tapping the unit buttons. Products are saved with the user settings last used. This free mobile smartphone app is designed for iPhone, iPod Touch, iPad and Android devices. Click here to download. Buy, sell and find local food with Local Dirt. How it works, buyers can search and source local food in their area with the added convenience of online ordering. Sellers can easily find new buyers and sell their products online. Local Dirt will even automate your invoicing and track your inventory. Farmer markets, buying clubs and co-ops can automate ordering, inventory, price sheets and invoicing. Click Here! Farm and Dairy Agri-Book contains a catalog of Agribusinesses as well as Regional, State, Local Listings of Agri-Bureaus, Agencies, Associations and Organizations (Government and Private Sectors). Click here. CropManage: University of California Cooperative Extension has created a new website for farmers that will help save money and protect the environment. CropManage contains a wealth of UC research allowing farmers to quickly calculate the precise fertilizer and water needs of their crops. This will optimize plant growth, minimize over fertilization that leads to groundwater contamination, and prevent over pumping of wells that leads to sea water intrusion into the aquifer. Create an Account here. First launched in September of 2008, Beginningfarmers.org is a comprehensive compilation of information resources on farm financing, finding land, business planning, agricultural production and marketing, and much more. It is also a constantly updated blog providing the latest information and news on farm policy, farming jobs and internships, agricultural research, and the changing face of American agriculture. Beginning Farmers provides content relevant to new, experienced, and aspiring farmers, as well as farm educators, activists, and policy makers. Through core resource pages and frequent blog postings, Beginning farmers provides a robust and constantly growing forum for sharing information and ideas about starting new farms, and a broad range of content related to the development of sustainable agriculture and food systems. A Food Hub is a business or organization that actively manages the aggregation, distribution, and marketing of course-identified food products primarily from local and regional producers to strengthen their ability to satisfy wholesale, retail, and institutional demand. The handbook describes organic systems and identifies key resources to guide conservation planning and implementation on organic farms. Producers and other audiences may also find the handbook useful, particularly the resources listed in various sections. If you are seriously considering starting up an agricultural business, there are a number of important things to consider. Get started on the right path by defining your goals and skills, gaining experience and education, choosing your marketing strategies, and financing your agricultural venture. Soil compaction is a common and constant problem on most farms that till the soil. Heavy farm machinery can create persistent subsoil compaction (Hakansson and Reeder, 1994). Younger beginning farmers are more likely to operate large farms than are older operators of beginning farms. These farmers tend to earn more on their farm, and less off their farm, but have more debt than older beginning farmers. 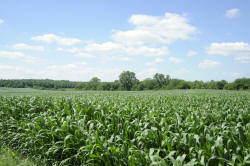 Considering conservation buffers on your land? The USDA has 250,000 or more buffer contracts with about 160,000 farms and ranches. They may be a good choice for your land and for the environment. Does America Need More Organic Farmers? Organic farming has been one of the fastest growing segments of U.S. agriculture for over a decade. After the USDA implemented national organic standards in 2002, certified organic farmland doubled by 2005. Learn about small scale solutions for your farm with this instructional pamphlet. AgroClimate is an innovative web-resource for decision-support and learning, providing interactive tools and climate information to improve crop management decisions and reduce production risks associated with climate variability, climate change, and extreme weather events. Users can monitor variables of interest such as growing degree days, chill hours, freeze risk, disease risks for selected crops, and current and projected drought conditions. Users can also learn about the impacts of climate cycles affecting the Southeastern United States, such as the El Niño Southern Oscillation (ENSO). AgroClimate uses crop simulation models along with historic, current, and forecasted climate data to allow decision makers to compare changes in probable outcomes under different climate conditions. Water and carbon footprint calculators on AgroClimate can provide system-specific estimates of how efficiently water and energy are being used. AgroClimate also includes educational resources, including videos and fact sheets, about management practices and technologies that can help improve efficiency of production and decrease the vulnerability of agricultural systems to climate variability and change. There are many USDA accredited certification agencies that can certify your farm or enterprise as organic. So how do you find the right agency to work with you? Here are some questions you should ask the agencies and some things to ask neighboring farmers. A lengthy document from EPA (2004), Managing Manure contains information pertinent to Large CAFOs in the Dairy Cows and Cattle other than Veal Calves and the Swine, Poultry, and Veal Calves subcategories of the final CAFO regulations. AgProfit™ is a computer program designed to assist agricultural producers make long-run decisions when implementing technologies to a specific crop or analyzing cropping systems. AgProfit™ estimates machinery, labor, and production input costs as well as fruit size, grade, and total yield for calculating returns for crops with multiple establishment and production years. The program allows you to inflate specific return and input cost items over time to analyze the net present value, internal rate of return, and financial feasibility when implementing a particular technology, making minor changes to returns or input costs, or comparing cropping systems. AgProfit™ is free to use and requires users to register with the AgTools website and obtain a license. 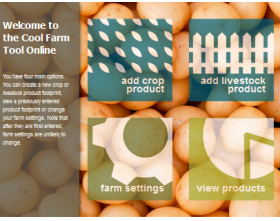 The AgTools™ web site is currently unavailable. If you are requesting a AgProfit™, AgLease™, or AgFinance™ program, a license file, or need other assistance please contact Clark Seavert, clark.seavert@oregonstate.edu. The new online program AgBiz Logic™ - BASIC will replace the AgTools™ suite of software programs. This exciting new program will be released about September 1, 2015. You can track the progress of the AgBiz Logic™ - BASIC program by following us on Facebook or Twitter. This publication was prepared in response to requests from local advisors, farmers, and ranchers for a simple guide to the first step in identifying alternative income-producing agricultural enterprises and agritourism opportunities. The guide is an extensive collection of information and resources, providing background on everything needed to develop or participate in a regional food hub. Farmers' markets are one of the oldest forms of direct marketing by small farmers. Community-supported agriculture (CSA) is the practice of focusing on the local production of high quality foods with the support of a consumer group that is willing to fund a whole season's budget in order to get quality foods. This expanded list of potential activities can help you think about your current operation and assets that may be used for developing an agritourism enterprise. Driftwatch™ is a tool to help protect pesticide-sensitive crops and habitats in Nebraska. Managers of ecologically sensitive areas and owners of commercial fields and apiaries may register. The Driftwatch™ registry is intended for commercial sites that are at least a half-acre in Indiana Minnesota Michigan Illinois Wisconsin Montana Nebraska Colorado Missouri It is not intended for homeowners. Driftwatch™ was designed by staff from the Purdue University Agricultural and Biological Engineering and Agricultural Communications departments with input and support from Purdue University Cooperative Extension Specialists. The Driftwatch site is meant to help pesticide applicators, specialty crop growers, and stewards of at-risk habitats in Nebraska communicate more effectively to protect pesticide-sensitive areas. The DriftWatch map is designed to display sensitive commercial agricultural areas. Driftwatch is not intended to be a registry for homeowners or sites less than half an acre. This site features an easy-to-use Google Maps™ interface that clearly shows applicators the locations of registered areas so they can take the appropriate precautions before they spray. It's important to remember that the lines on the maps are not property lines; they merely indicate approximate positions of sensitive lands submitted to us. Sensitive crop areas registered on this site include beehives, certified organic crops, fruits, grapes, nursery crops, pumpkins, melons, tomatoes, and vegetables. The Cover Crop Economics Tool is a user-friendly economic assessment tool to assess the costs and benefits of incorporating cover crops into a crop rotation. The tool assesses both the short term and long term expected costs and benefits. For questions, please contact Bryon Kirwan, bryon.kirwan@il.usda.gov. AgLease™ is a computer program designed to assist growers and landowners establish equitable crop share and cash rent lease agreements. With AgLease™ you can easily comprehend and evaluate the potential risks associated with annual and long-term leases, reevaluate current leases, or changing cropping systems. AgLease™ estimatesmachinery, labor, and production input costs as well as fruit size, grade, and total yield for calculating returns for crops with multiple establishment and production years. The program allows you to inflate specific return and input cost items over time to analyze the net present value, internal rate of return, and financial feasibility for a crop share and cash rent lease. AgLease™ is free to use and requires users to register with the AgTools website and obtain a license. This guide is an overview of the process of becoming certified organic. It is designed to explain the USDA organic regulations as they apply to livestock producers. In 2014, the United States had 14,093 organic farms producing $5.5 billion in organic products. This publication provides an overview of organic certification and provides some additional resources for prospective organic farms and businesses. This guide is intended to help lead farmers through the organic certification process. Chapters 1 through 4 explain the National Organic Program (NOP) and describe the process of organic certification. Organic certification verifies that your farm or handling facility located anywhere in the world complies with the USDA organic regulations and allows you to sell, label, and represent your products as organic. Yes, A Disappointing 55 Percent Water Allocation for Farmers California Ag Today The Bureau of Reclamation announced that the water allocation for the Central Valley Project has been increased to 55 percent. Governor Newsom Announces Legislative Proposals to Confront the Housing Cost Crisis Imperial Valley News Sacramento, California - Governor Gavin Newsom announced a major legislative proposal as part of his $1.75 billion package to confront the housing cost crisis. How to become a farmer in California? Get a mentor 89.3 KPCC Kristyn Leach drives a tractor up and down the length of her field, towing a disc that breaks up remnants of last season's crops so they can mix back into the soil. Beginning Farmer Training Program Receives State Approval AgNet West A recently developed beginning farmer training program has officially been approved by the California State Division of Apprenticeship Standards. California Farm Academy Offers Path For Immigrants And Second Career Farmers Capital Public Radio News The average age of a U.S. farmer is nearly sixty. A training program based in Winters, California aims to open a path into farming for immigrants and. Farm to Fork: How Sacramento has grown Sacramento Bee As California's capital celebrates Farm to Fork month, an urban farmer and a restaurateur applaud the food movement's growth. Planting the Seed: Cultivating the Next Generation of Farmers Food Tank California-based, Center for Land-Based Learning, strives to cultivate appreciation and respect for the environment and agriculture, especially among youth. There's a Gold-Standard Treatment for Opioid Addiction, One of America's Top Killers. What Keeps Treatment Centers From Using It? Pacific Standard Many California addiction and recovery centers aren't using medication-assisted treatment—our country's best bet for beating the opioid crisis. California Marijuana Cultivation Permit | California Licensing Snafu Marijuana Business Daily California's marijuana growers are at risk of losing thousands of dollars in revenue as scores of temporary cannabis cultivation permits expire every day. California bill looking to streamline housing opportunities for farm workers advances KEYT Central Coast farm workers may have new opportunities for affordable housing if a bill being debated at the State Capitol is signed into law. In this water-starved California town, one citrus farmer is trying to hold on The Desert Sun A longtime farmer hopes to save his Borrego Springs citrus orchard, even as its declining aquifer forces major cuts in groundwater pumping. Why People Are Flocking From California to Arizona OZY As people exit the Golden State in growing numbers, the Grand Canyon State is becoming an attractive alternative. Changes In Overtime Rules Coming For California Farmworkers Capital Public Radio News California will expand overtime rules for farmworkers starting in 2019, but other changes will be phased in gradually. During California wildfires, farmworkers say they felt pressure to keep working or lose their jobs The Washington Post Some strawberry pickers, many in the country illegally, said they were not assured access to protective masks when air quality reached dangerous levels. Culture As Fires Rage on in California, Many Farmworkers Are Working in Hazardous Conditions Remezcla As The Camp and Woolsey fires rage on in Northern and Southern California, respectively, federal officials have declared a public health emergency in the state. Sacramento Is Making Urban Agriculture a Way of Life Civil Eats California's capital city has become the nation's farm-to-fork capital, and in the process is making food more accessible, equitable, and just. How a small worker-owned trust could transform agricultural labor for Fast Company California Harvesters, which has recruited 450 workers in farm country, has grown “at an incredible pace” and could be a model for other industries. Here's why California farmers are the toughest of all Farm Futures Despite water worries, burdensome regs and labor shortages, west coast farmers just keep growing stuff. Lots of stuff. Wages rise on California farms. Americans still don't want the job Los Angeles Times Trump's immigration crackdown is supposed to help U.S. citizens. For California farmers, it's worsening a desperate labor shortage. Stress-blocking plant technology receives green light in California FoodNavigator-USA.com Plants undergo a lot of early environmental stressors pre- and post-harvest and a solution by AgroFresh can block the elements that take a toll on plants. California Company Launching Program to Help Expunge Cannabis Convictions Under Prop. 64 Cannabis Business Times Heally's *Fresh* Start program will guide applicants through the expungement process with pro-bono legal counsel. CCOF names Kelly Damewood new CEO | Packer The Packer California organic certification group CCOF has promoted Kelly Damewood to CEO of the organization. Taste Test: Local, Sustainable Whole Milk From 6 Top California Dairies KQED If your family drinks milk, you'll want to read this guide to the sustainable whole milk choices available in the Bay Area, including two raw milks. Read t.
This is What Sustainable Wine Certification in California Really Means Organic Authority Sustainable wine certification may not mean what you think. The designation is a bit murky, but with time, and education, it could improve.